Aegis trust and the Jesuits in Africa have called for African countries to adopt a values-based education that can transform Africa toward peace and justice. Fifteen Jesuit Education Directors from 11 African countries are meeting with the Aegis Trust at Kigali Genocide Memorial - Peace School from 12th to the 14th September, to forge a new partnership to introduce Peace and Values Education in Jesuit schools across Africa. 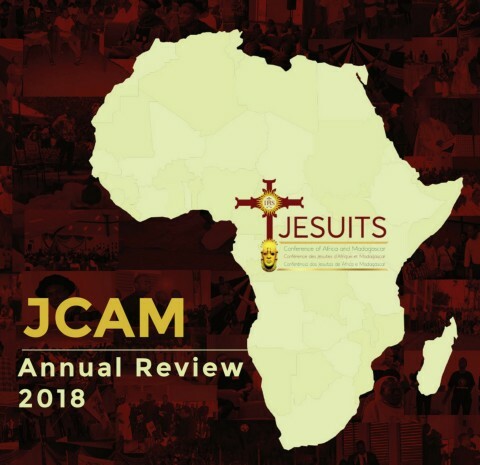 "We Jesuits are convinced that the well-being and future of Africa depend on the way we educate,” says Father Charles B. Chilufya, Jesuit Conference of Africa’s Director of Justice and Ecology. Aegis, which is establishing ‘Peace Schools’ in Rwanda, has focused on building ‘cultures of peace’ and supporting educators and parents from the community and surrounding areas to promote positive values, found a strong partner in the Jesuits, who want to carry this vision to other parts of Africa. Fr. Chilufya added that: “We need an education that forms hearts and consciences, not just brains. It is graduates whose hearts are trained towards love and justice, care and responsibility, that will transform Africa and eradicate poverty and not just economic policies. Together with Aegis trust, we'll spread this all-rounded education all across Africa in our schools and all public schools." Aegis and Jesuit education leaders are now planning a strategic approach to making this vision a reality, beginning with implementing peace and values education in Jesuit-ran schools in the continent, followed by a goal to carry this to all Catholic and public schools in the coming years. The delegation visited genocide memorial sites to reflect on the path that led to the 1994 genocide against the Tutsi, followed by a visit to Rweru Reconciliation Village, where they witnessed the power of forgiveness and friendship, which are at that heart of the Jesuit’s mission to bring humanity and compassion to the world. After visiting Ntarama Genocide Memorial, Father Kelly Michelo from Zambia reflected, “This experience is heartbreaking and yet moving enough for us as educators to do something and make a difference”. At the Kigali Genocide Memorial, the Jesuits participated in an Aegis Peace and Values Education workshop and explored together how to embed critical thinking, empathy, and positive values into their teaching in Jesuit schools across the continent.